"I like to make blank pages darker." This week, I’m thrilled to announce a major new contest–ENTER AT YOUR OWN RISK–that I’m holding in conjunction with the good people at iHorror.com. Now through Sunday, May 31st at midnight, anyone who signs up for both our email lists will be automatically entered in this contest. One lucky winner will become the star of their very own horror short story written by yours truly and published later this summer on iHorror.com! Update: Congrats to contest winner Ian Murphy, who was randomly chosen out of hundreds of entries to star in his very own horror story! In a couple weeks, I’m launching a super intensive two-week Internet Tour featuring guest blog posts, interviews, podcasts, giveaways, character interviews, and some more fun surprises! Please check out the full schedule now posted here on my website. One of the highlights of the tour for me will be on Wednesday, May 20th when my own 9-year-old daughter Anna interviews one of my favorite characters from The Scary Tales: Queen Adara. I think you’ll be impressed with Anna’s keen interview skills. I’m also hugely excited to be featured on one of my favorite horror news sites, ihorror.com, where The Scary Tales will be reviewed on Monday, May 18th and I’ll later be interviewed on Thursday, May 28th. Next week, I’ll be making a major announcement about a fun new contest to be held in conjunction with the tour. Stay tuned! Next month, I’m launching a massive Internet Tour in which I’ll be doing all manner of interviews, guest blog posts, giveaways, contests, podcasts, and more. I’ll post the schedule soon. So, this month I wanted to do a book giveaway contest that’s a little different. One lucky winner will get an autographed set of the first two books in The Scary Tales Series—That Risen Snow and That Wicked Apple. Two paperbacks. Two autographs. Seven dwarfs. One zombie Snow White. Countless thrills. 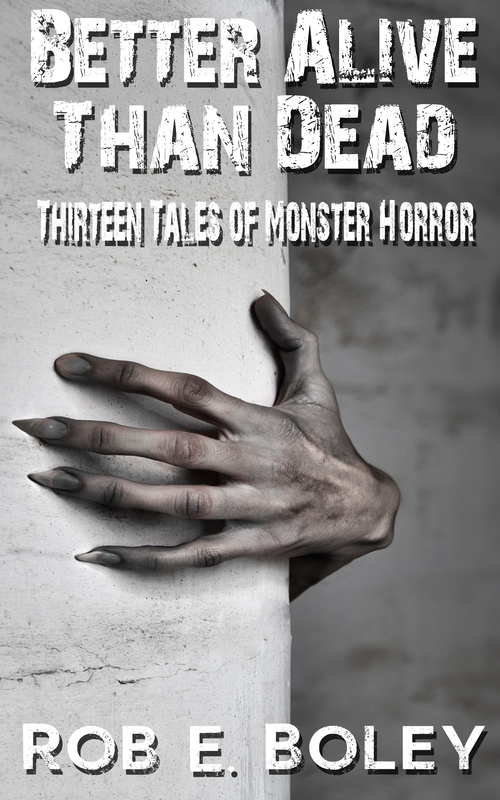 1) Leave an honest review of one or more of my Scary Tales books on Amazon.com. The more reviews you leave, the more entries you receive. So, if you review all four of The Scary Tales books currently available, then you’ll get four entries in the contest. Tweeting about it using the #TheScaryTales hashtag and tagging my Twitter handle (@robboley). Ex Tweet: Just reviewed two #TheScaryTales books by @robboley on Amazon & they’re the best things I’ve ever read ever in all the history of ever-ness. Simple as that! And since the ebook of That Risen Snow is currently on sale for free on most major retailers, including Amazon, no purchase is necessary. For those of you who already left reviews prior to the start of this contest, no worries! As long as you report the reviews this month, they still count! And please be honest with your reviews. Only give the books as many stars as you think/feel/estimate/know they deserve after reading the books. Okay, what are you waiting for? Stop reading. Go review me! Assess me! Rake my writing self over the red-hot Amazonian coals. Just be nice about it. UPDATE: Congratulations to Rachel Menzies for winning this contest! 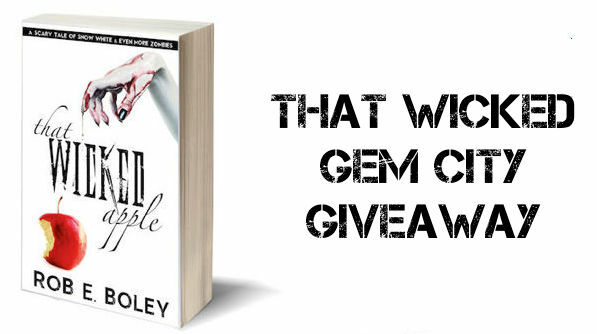 That Wicked Gem City Giveaway! So, this weekend I’ll be selling and signing books at the Gem City Comic Con right here in Dayton, Ohio, and I’m so stinking excited to have a table at this stellar event that I’m going to do a special giveaway for the 1st SIGNED COPY OF THAT WICKED APPLE. That’s right . . . one lucky winner will get the very first signed paperback copy of THAT WICKED APPLE, due to be released in paperback at the end of April. As soon as I get my stash of author copies, I’ll slap my signature on that bad-boy and send the very first signed copy to you! To sweeten the deal, for every ten new email list registrations I receive this week, I’ll raffle off a free ebook—your choice from any of the four current SCARY TALES novels. So, your odds of winning something are 1 in 10! Not bad, huh? 1) Stop by my table at Gem City Comic Con, introduce yourself, and sign up for my email list. 2) Not coming to Gem City? No problem. Instead, you can sign up by joining my email list using the form below. Just enter your name and email address and click Join the REBolution. You’ll receive a confirmation email with a link. Once you click that link, you’re in! This contest will run until the con closes at 4 pm on Sunday, March 29th. All winners will be announced on Monday, March 30th right here on my website and via Twitter and Facebook. And even if you don’t win one of these great prizes, I do monthly giveaways via my REBolution email newsletter. So, odds are, you’ll eventually win something! Hope to see you at the con! 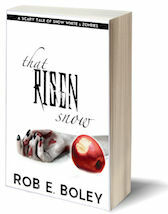 That Risen Snow Now Free on Amazon! Sometime last week, Amazon dropped the price of That Risen Snow ebook to FREE, probably to match the free price over on iTunes. That’s right! You can now try out the first book of The Scary Tales free of charge! No Kindle? No problem. The Kindle app is free online. Join my email list to receive a free short story! Subscribers also receive updates on upcoming releases, appearances, and exclusive content!